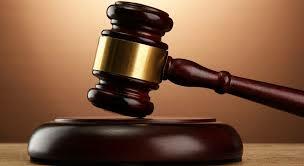 HIGH Court Senior Judge, Justice Nicholas Mathonsi has upheld a ruling by the Gweru Magistrate Court to fine a police officer, Detective Constable Gift Gorongonya $400 for shooting a soldier following an altercation. Gorongonya appeared before Gweru magistrate, Ms Mildred Matuvi, in August last year and was fined $400 for the offence. Gorongonya appealed against the ruling at the High Court. However, Justice Mathonsi on last Tuesday overruled the appeal and upheld the ruling by Ms Matuvi. The State’s case was that in February last year Gorongonya, who was in the company of his colleague, Constable Chrispen Musiiwa, was assaulting a soldier along Harare Road when a Five Brigade bound Zimbabwe National Army bus stopped and Corporal Zico Shumba together with other soldiers disembarked and tried to restrain Gorongonya. The complainant allegedly disarmed Cst Musiiwa who was armed with a pistol and removed the magazine. The court heard that Gorongonya then drew a pistol and fired some shots before hitting Corporal Shumba on the leg. The two police officers then rushed to Gweru Central Police Station. Corporal Shumba was rushed to Gweru Provincial Hospital (GPH) where he received treatment. Corporal Shumba is said to have sustained a fractured leg as a result of the shooting.